We are motherfucking Styx Gaming, an international gaming community with members from all ends of the world. Styx is a clan specializing in the various fields of Call of Duty 4, such as CoDJumper and Promod, and next to that we are proud of our great and friendly community of players and members. Styx Gaming takes its name from the famous mythological river Styx, the border between the land of the living, and the land of the death. This symbolizes it's members, who border between having a life, and having no life at all.... Or Hassan and Cameraadt just liked the sound of it when they got stoned some day. We've been forces to make connecting to the TS using our old IP addresses unavailable, so please use ts3.styx.gg to connect to the Teamspeak. This way you will always be able to connect to the TS, even if we decide to move the servers to afrika some day. All old domains still work aswell (like cod.styxgaming.net and ts(3).styxgaming.net), but we'll mainly be using the styx.gg domain for services in the future because it's shorter and easy to remember.  If you had a private server it's most likely offline right now, since we disabled all servers that were not being used. If you want to request a (new) private server from us though, just let me know (email: nesty@styx.gg) and you'll have one set up and be able to connect to it through a custom.styx.gg domain.